Government websites are drowning in annual reports. Almost every agency, no matter its size, publishes a yearly report about its activities. These documents supplement the annual reports of specific government programs within agencies. To take just one example, a search for “annual report” across all of New York state’s websites produces approximately 36,000 results, including around 8,000 PDFs, covering everything from the State Liquor Authority to the Division of Forest Protection. 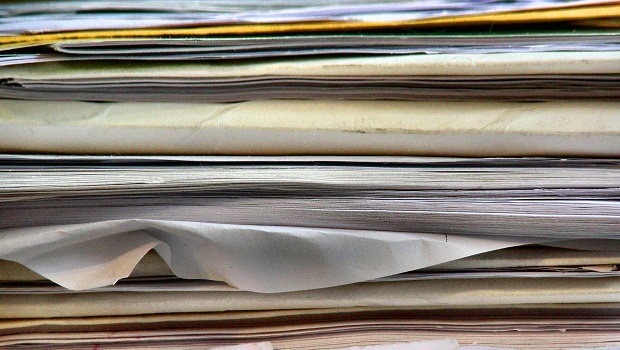 While these reports are a useful tool for providing insight and accountability on public-sector operations, such relics of a paper-based world are no longer the best option for an increasingly digital government. Instead, agencies should begin replacing annual reports with dynamic dashboards that provide real-time information on government programs. One of the main problems with annual reports is that, by definition, they are only published once per year, so the information they provide is not timely and only captures the state of government programs at a single moment in time. Therefore, when it comes to management and oversight, they are a relatively poor tool. It’s much more useful for legislators to learn about a program that is over budget and underperforming one month into the project rather than at 12 months. Receiving information sooner can ensure programs stay on track for success and ultimately save taxpayers money. The private sector is already moving away from the idea that once-a-year reporting is a useful management strategy. In recent years, a number of major companies, such asAccenture, Deloitte, GE and Microsoft, have announced that they are ditching employee annual performance reviews in favor of more frequent feedback between employees and managers. Moreover, the rise of the Internet of Things and wearable tech is creating a new culture that thrives on instant feedback — the success of companies like Fitbit comes from telling people how many calories they have burned each day, not at the end of the year. Dashboards offer an alternative to annual reports because they provide users access to the most recent information on government programs and allow them to explore and analyze the data available. For example, the federal government used dashboards to provide the public transparency on federal spending that took place as part of the American Recovery and Reinvestment Act, as well as the distribution of federal funds following Hurricane Sandy. Many of the most prominent examples of dashboards in state government today are still works in progress. For example, the Texas Education Agency established the Texas School Accountability Dashboard to provide the public access to state, district and school performance data, but the information is only updated annually. At their best, dashboards are not just tools for publicly reporting some data, but rather internal performance management tools that the government makes public. The Washington State Transportation Improvement Board developed its performance management dashboardafter realizing that oversight had been so poor that the agency had awarded grants for more projects than it could fund. The dashboard, now in its fourth version since its 2003 launch, tracks and measures the board’s performance, such as delays in projects and payments, providing the public the same level of detail available to agency staff. State CIOs can provide the technical building blocks for agencies to implement dashboards. For example, the UK has launched more than 800 dashboards to showcase how well government services are performing by creating a well-documented process that explains to agencies how to both measure performance and publish the data. Indeed, a side effect of building dashboards is that it forces agencies to think more about how they measure performance. CIOs can also provide guidance on best practices for data visualizations so that dashboards present information in the most user-friendly way possible. Eliminating annual reports will not happen overnight. Some are mandated by law, and replacing them with dashboards may require legislative action. But a good start would be a simple dashboard showing the number of annual reports published by the government. Hopefully this figure will soon be trending downward.